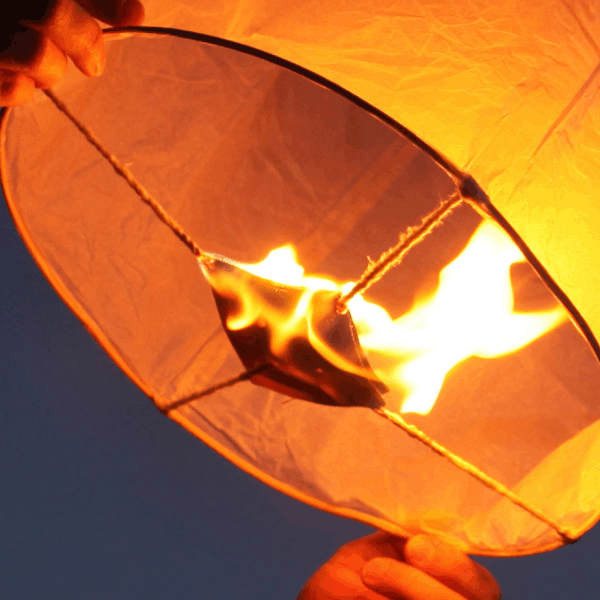 Our coloured Sky Lanterns (Blue, Yellow, Pink, Green & Orange) look fantastic during the day and make for a truly spectacular display at night. 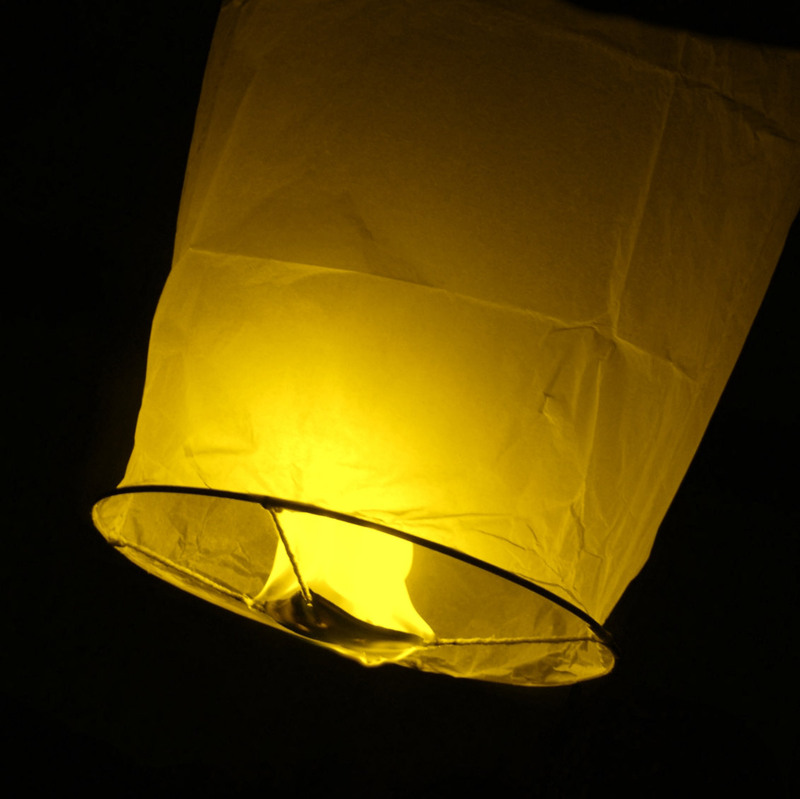 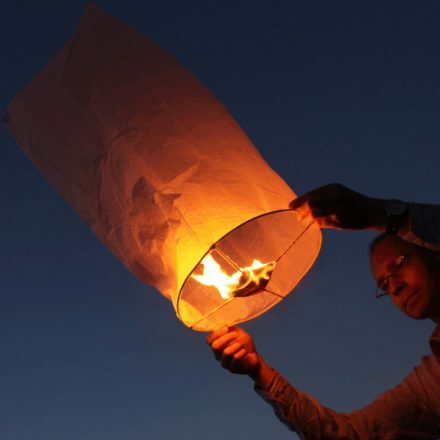 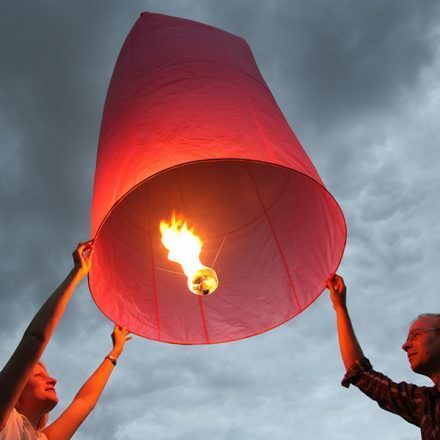 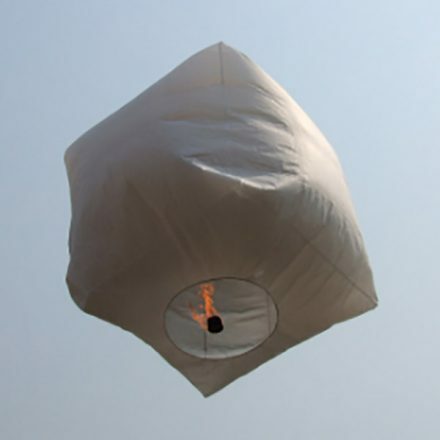 These are high quality sky lanterns made with fire retardent paper, no metal parts and a non drip fuel cell. 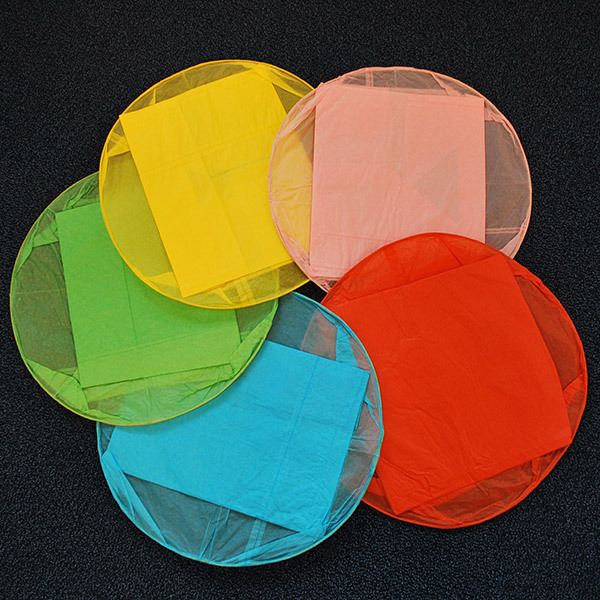 Add a splash of colour to your event with our coloured Sky Lanterns.